Residential bathtub reglazing is helping many homeowners just like you save money and time. When your bathtubs, sinks or counters are dated, scratched or chipped, the tradition for many homeowners has been simple; throw away those old fixtures and buy new ones. With a sluggish housing market and a tight economy putting a squeeze on household budgets, many homeowners are discovering what hotel and apartment managers have known for a long time. You can save up to 80% of the cost of bathtub replacement by reglazing . How can you save such a huge amount of time and money by reglazing your bathtub, sink or counter instead of replacing it? Cost – Replacing a bathtub can cost upwards of $2500. Although bathtubs cost around $250 to $850 it’s the labor, tile work, plumbing and other items that drive up the cost of bathtub replacement. Mess – The old tub has to be demolished so it can be removed. The original installation was done before the walls and the door jams were installed. Trash has to be removed and that mess taken to the landfill. Removal – By the time all sub-contractors are paid for demolition, removal of all the mess from fixtures, landfill fees, plumbing, and tile, the price can go up and up. Confusion – Because of all the different sub-contractors with specialized skills involved in bathtub replacement, it take days or even weeks to get a bathtub replaced and ready for use. This means that you may become best friends with your contractor. Eco Friendly – It takes a lot of energy and other assets to manufacture a new tub. It takes energy to transport the new tub from the manufacturing facility, to the warehouse, store and finally to the homeowner along with all the tradesmen involved in a remodel going back and forth. Down Time – It can take anywhere from 3 to 10 days to replace a new tub and tile. Surprises – Anytime you remove a fixture in an old house you may find that you are going to have to make costly repairs due to plumbing problems, termites, electrical, dry rot from water damage. 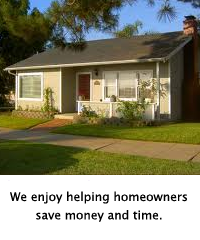 Time – 4 Hours- That’s how long it takes us to do the average job in you home. The immediate area is masked off and exhaust system is put in place. No mess no hassles. Down Time – You can use your bathtub sink or counter 12hrs after we complete the job. With your busy schedule we want to be in and out as fast as possible. No Removal – All work done in your home with no mess. We leave everything looking like we were never there. Colors – You can choose any color you like! Your imagination is your only limitation. Warranty – For your protection our work comes with a written warranty. Cleaning – Easy to clean surface just spray liquid cleanser and wipe. Our surface is non porous so dirt does not get into the pores like it did before. 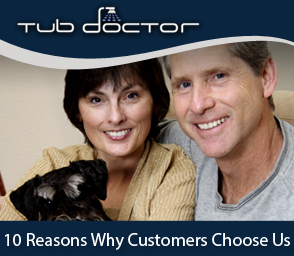 Cost – Pricing starting at $295 to do the average tub! With all the money you save you can afford to do the tile too. Adhesion – Our material fuses with the existing substrate to create a chemical bond which ensures years of service. No peeling, no discoloration. Licensed – Our company is licensed for your peace of mind. There are maybe some companies offering their services for less but since they are not licensed by the state they do not have to honor any written or oral warranty they provide you with. They simply pack up and set up shop somewhere else. So call us today at 213-BATHTUB and give your bathroom a facelift in just 4 hours!